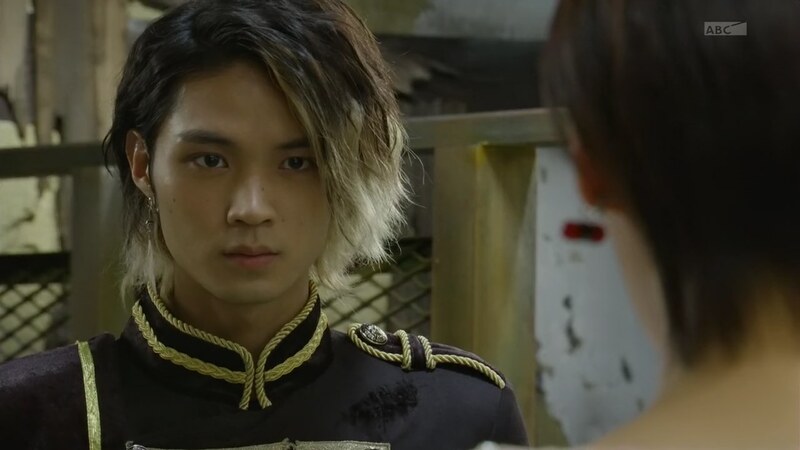 Recap: Kamen Rider Ghost, Episode 26 – Conflict! The Terms of Resolution! Takeru wants to return to the G World immediately to save Makoto-niichan, but not with Kanon all sick in bed. Akari finds that the Ganma-sprayed red particles are causing a strong magnetic field similar to synapses which are the brain cells that transmit information as electric signals and connect the neurons. This is similar to the Demia System from DeepConnect. 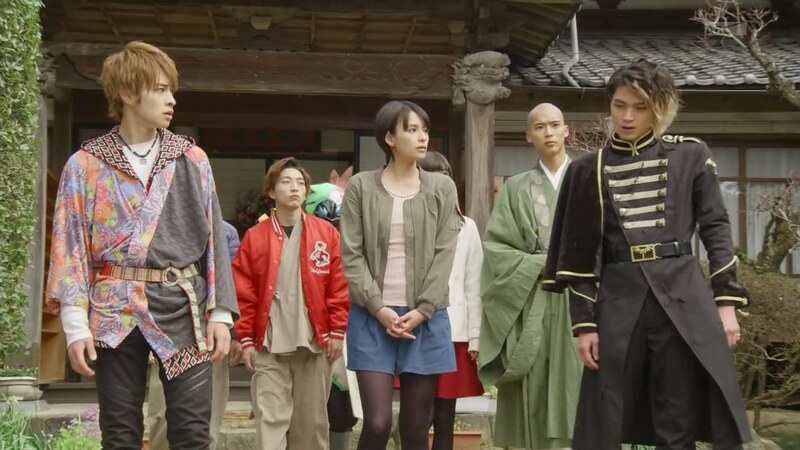 Akari is still suspicious of them, but Onari is more concerned about how the red sky still exists when Takeru defeated the Ganma. 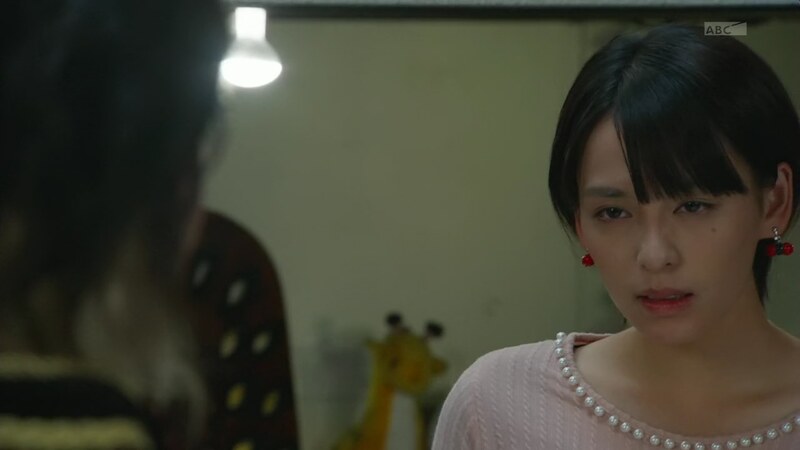 Onari cautions Takeru against being too hasty in making decisions. Akari says she will continue to look through the monolith database to find an antidote. Igor happily watches the plan going well. But Javert appears and asks why his body feels like jelly. Igor says Javert is useless now that he has no fighting capablities. Thus, it’s time to dispose of him. Javert is too weak to even punch Igor in the face. Igor says both Javert and Alain will die soon anyway. Kanon wakes up and is happy to find Alain-sama at her bedside. “He’s been here the whole time. He’s so nice,” Cubi says. Kanon thanks Alain and says she’s okay. She asks him to focus instead of getting her brother back safely. Alain notes that she and her brother are always like this, concerned more about others than themselves. Alain gets up to leave, but stumbles at the door. Kanon realizes he’s being affected by the red sky too. Takeru, Onari, Narita and Shibuya are tracking the red sky, but it is rapidly spreading thanks to Hikoki Ganma and at various locations in the city. Adel stops Aria as she walks through the corridors of the castle. He tells her this area is off limits. She sarcastically says she forgot the random new rules put in place. Adel says now that he is Grand Emperor, his orders are absolute. Adel leaves, but Aria is intent on finding their father. Alain heads down to the lab where Akari is still trying to connect to the monolith database. He tries to sneak up on her and finish her for good for being so annoying. 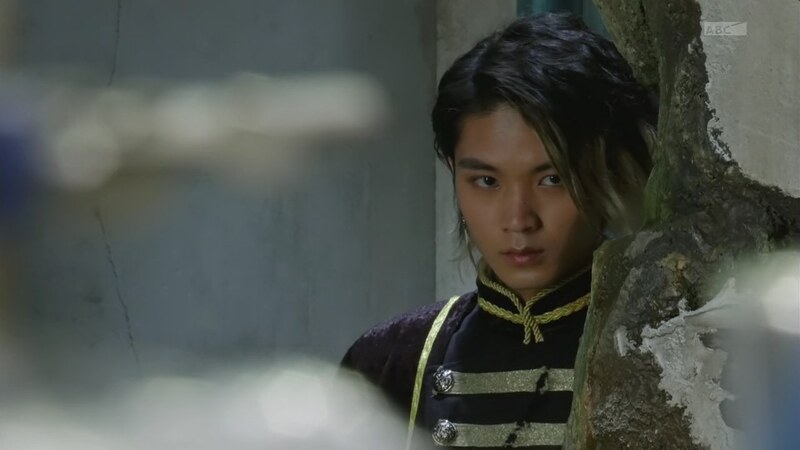 But Akari sees him and says he should say something when he comes in instead of creeping about. Alain apologizes. Akari asks how he feels about Kanon. He says he’s not her boyfriend. 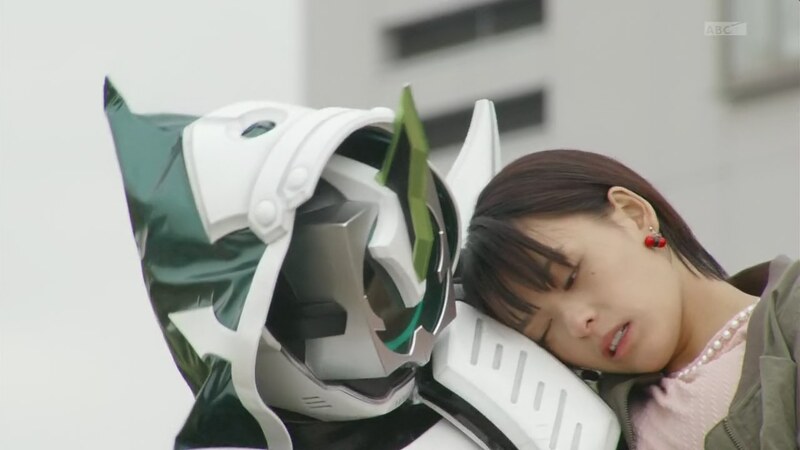 But Akari meant Alain is worried about her. Alain turns to leave, but Akari wants to know about the G World. Alain explains that his world is perfectly controlled. There are no conflicts, nor does anyone die. His father set forth the ideals and the magistrate Edith implemented them. Alain says the magistrate is an old friend of his father’s and is a trustworthy man. Alain continues that his father had a great power that could only be used by the chosen and that allowed the creation of the perfect world. Akari asks who chose Adonis and gave him the power. Speaking of, Adel asks Edith about the big Eyecon Takeru took. Edith confirms that he created it to allow Adonis to access the source of the great power since the Prayer Room stopped responding. But it was a failure and Edith admits it should have never had that kind of use. Alain says he does not know who chose him, but the prayers were simply symbolic gestures. Akari asks what the Ganma want with their world if the G World is so perfect. Alain says they want to basically save the humans from themselves. Akari says he doesn’t even believe any of that himself. Alain says that’s absurd and storms out. 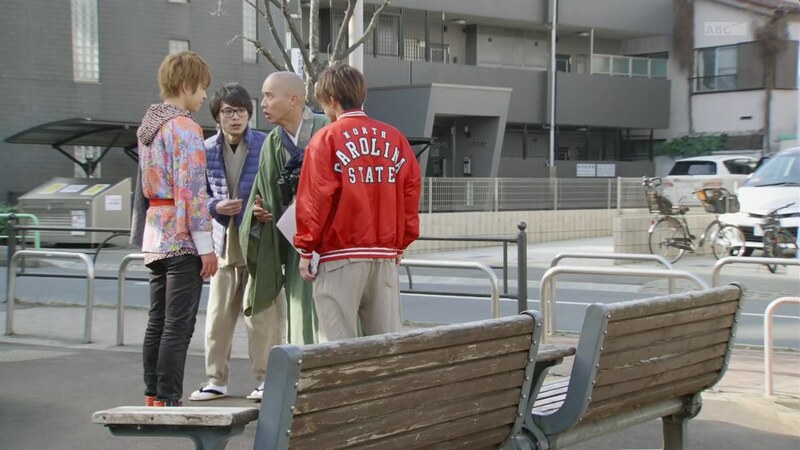 Takeru, Onari, Narita and Shibuya seem to have no more leads on the Ganma spreading the red sky. 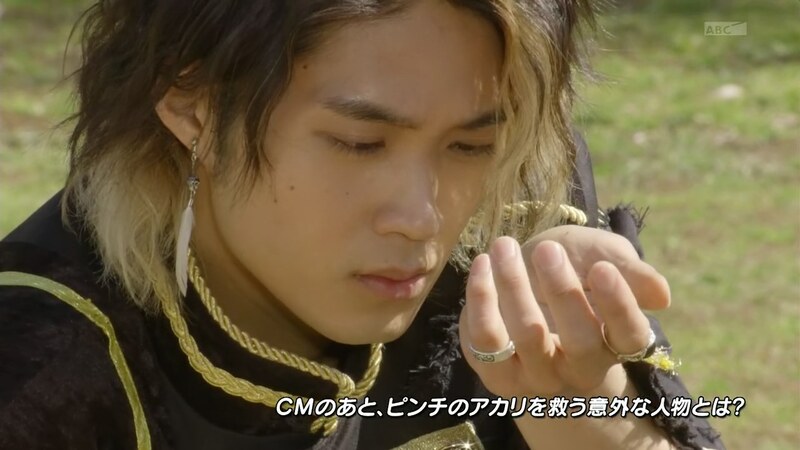 But Takeru sees a trail in the sky and follows it. 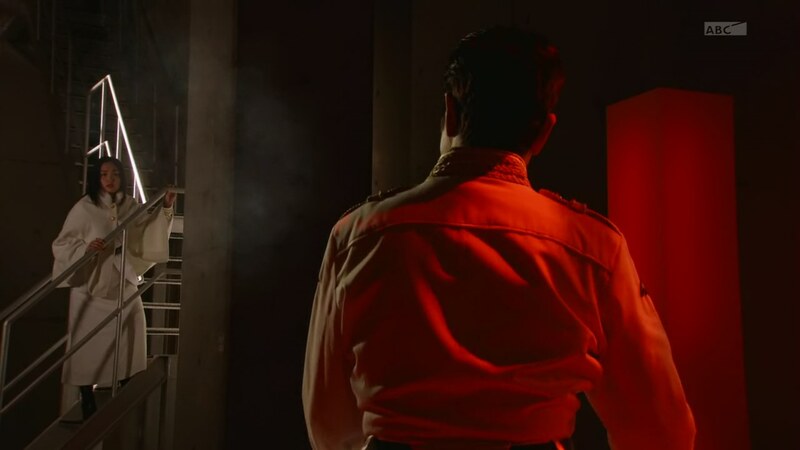 Hikoki Ganma lands in front of Igor just as Alain arrives to confront him. He demands Igor return the sky to normal, but Igor says it was Alain’s wish to turn this world red in the first place. Both henshin, but Igor immediately forces Alain to lose his power and dehenshin. Igor kicks him around. Alain remembers his two friends’ feelings for him and the Grimm Eyecon flies out. 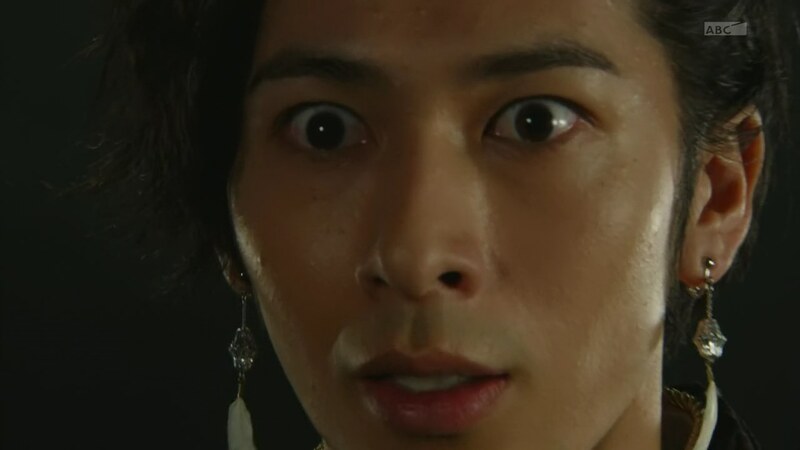 Alain is able to henshin, much to the shock of Igor. 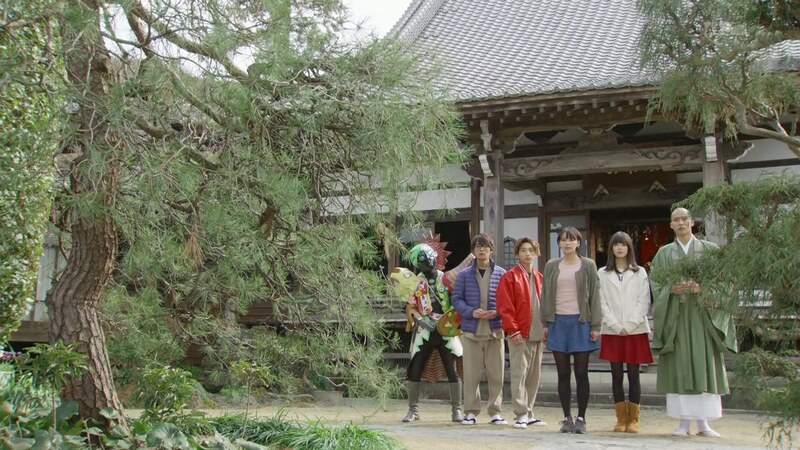 Takeru arrives to help, but Igor and Hikoki Ganma escape. Takeru helps Alain up from the ground, but Alain refuses it and leaves. Grampa Sennin wants to help Akari crack the code, but she is able to get it herself and now can make an antidote. She hurries to put the Shiki antidote sticker onto Kanon and it immediately cures her. Kanon asks Akari to give Alain one too. Aria hears praying. Her father! She hurries down the corridor. Meanwhile, Alain is with Grandma Fumi. 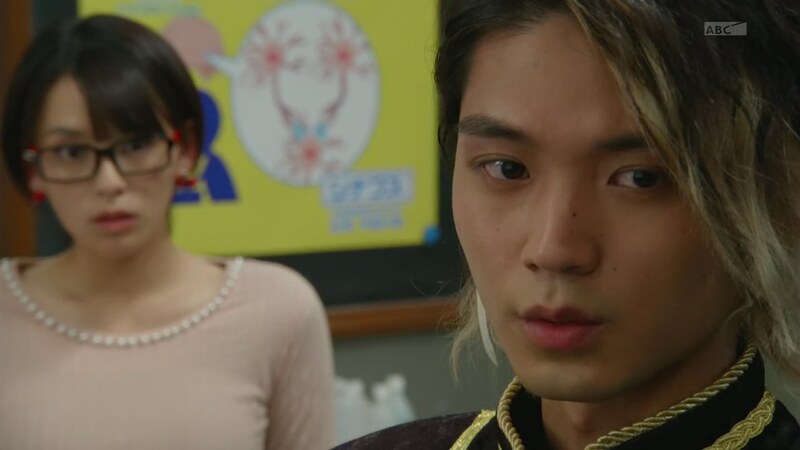 Akari arrives, but decides to listen as Alain expresses his true feelings to Granma Fumi. Alain says the first time he arrived in this world, he was surprised how beautiful the blue sky was. But he couldn’t tell anyone that until he was able to talk to his father. He remembers Adonis telling him to follow his heart if he was ever lost. Until then, Alain had only ever followed his father’s ideals, so doubt was never a thing in his life. Now he has lost his father and his dear friend. For the first time, he feels lost and in doubt. Grandma Fumi gives him some hot takoyaki and reminds that he should follow his heart. 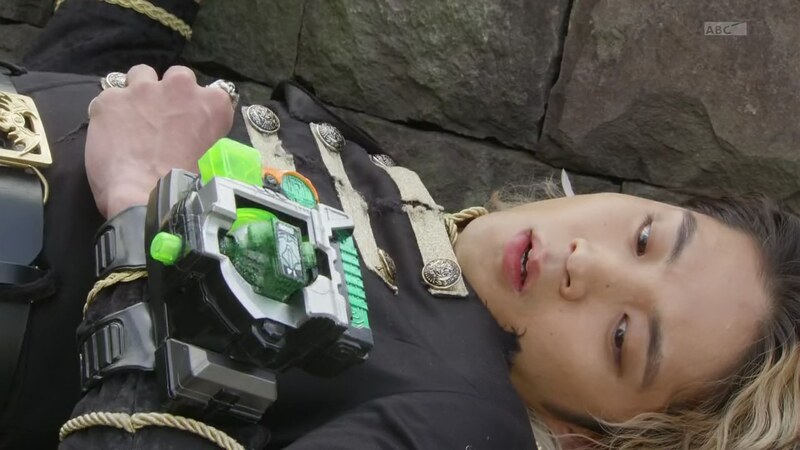 But Alain grows weak and collapses to the ground. Akari runs over to give him a Shiki sticker before she hurries to the rooftop of the central hospital. She calls Takeru to meet her there. Akari takes her new Shiki antidote is about to spray it into the air. But Hikoki Ganma sees her. Takeru goes Boost Houdini to save Akari from Hikoki Ganma’s attack. 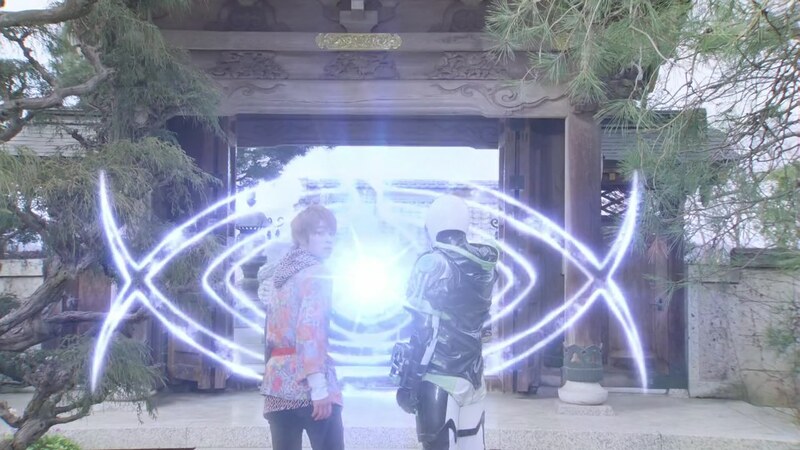 Takeru grabs the Ganma to allow Akari to shoot at the sky and eliminate the redness. But Hikoki Ganma are actually two brothers. The 2nd one arrives and attacks Akari, sending over the side of the building. 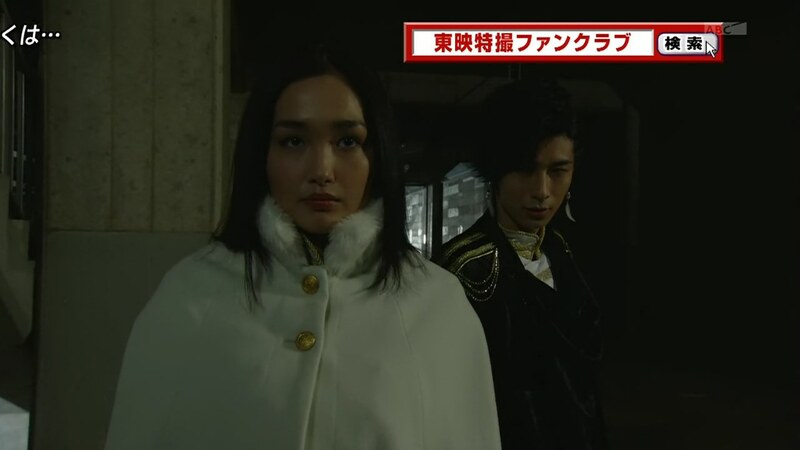 Alain, already henshined, arrives and saves her. He tells her to run. Takeru and Alain take on the Hikoki brothers and finish them off with a matching pair of kicks. Aria finally finds her father. 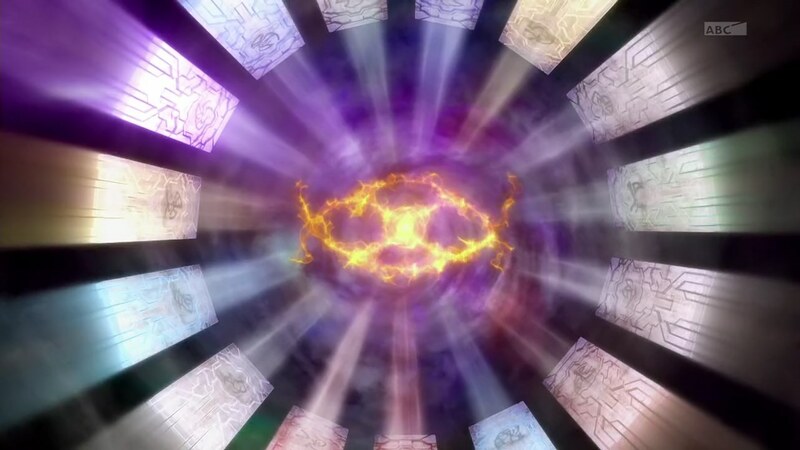 But Adonis tells her to stay back and reveals the force field surrounding him. “Take care of Adel,” Adonis tells his daughter. Alain admits that he does have doubts. That’s why he is ready to find the answers. To do that though, he needs Takeru’s power. Akari says Takeru will need his power as well. All smiles. 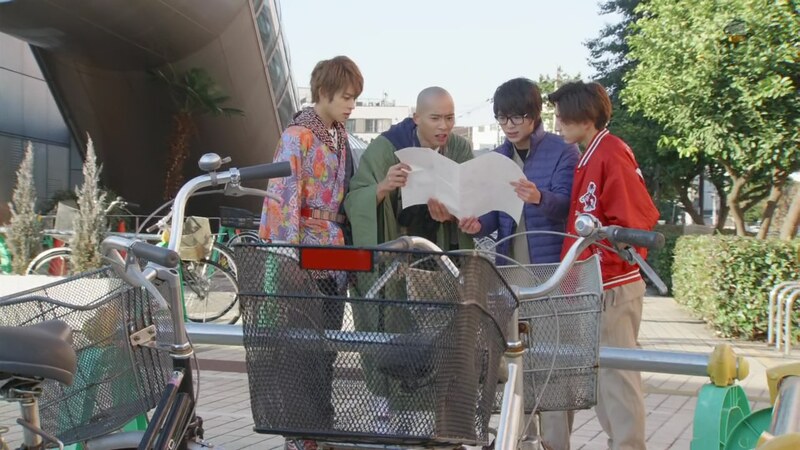 Akari asks Alain to take care of both Takeru and Makoto. Alain receives a message from Aria about their father. It’s time for them go to the G World. Everyone wishes them well as Alain and Takeru enter the big eye. Meanwhile in the Prayer Room, Adel sees another monolith set itself on the floor. But what he sees makes him sh-t himself. Another good and enjoyable episode. It seems like the first arc of the season was all about Takeru and establishing who he is as our hero and what all the little toys can do. 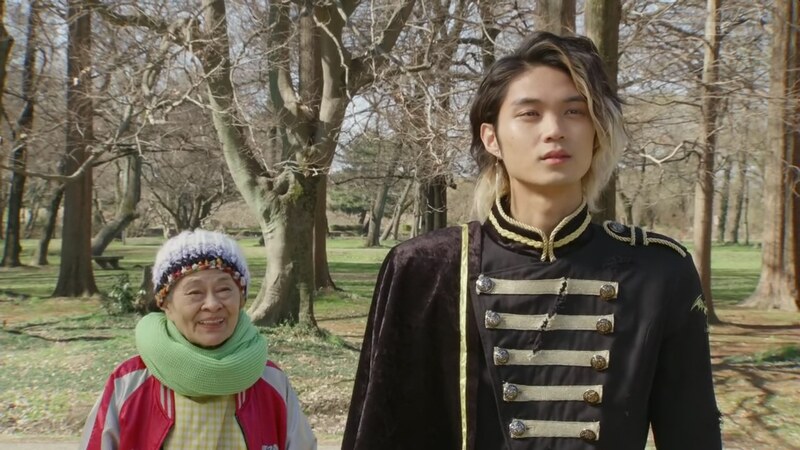 This second, post-reset arc seems to have focused more on Alain and establishing his character while using that to flesh out the Ganma a little more. Of all the characters, Alain got the most development and focus this arc. Though our supporting cast held steady roles throughout the story too. I really enjoyed Aria’s little HBIC walk when Adel stopped her. lol I am ready for her to go all HBIC in the G World, especially against her brother. I hope she gets some good material instead of the usual shortchanging of female characters. (Toei!) I wonder if “take care of your brother” means “Go save and redeem him!” or “Kill the sonuvabitch for me.” Haha Either way, I hope it gives Aria something awesome to do. I laughed out loud when Alain very defensively told Akari he’s not Kanon’s boyfriend. 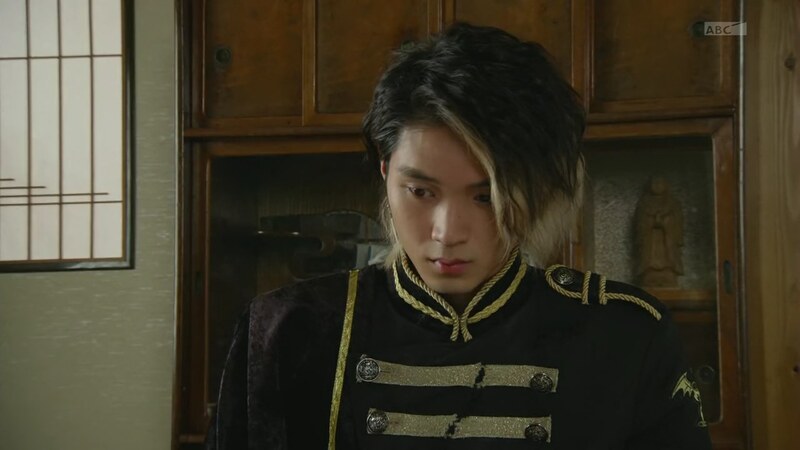 And that was after he gave Cubi a look after Cubi spilled the beans about his worry for Kanon. Cute. Also hilarious, Akari commenting how dizzy she was after Alain’s shoulder tentacles spun her around in the air when he saved her. Grandma Fumi looked very suspicious listening to Alain. lol It’s probably nothing, but it would be so awesome if she was a Ganma or something. Maybe she’s the queen or duchess or something of the G World who’s been living here on Earth all this time. Hee. Anyway, back for another adventure in the red G World. I hope this will be much more exciting than the last (solid) trip. ← Recap: The Amazing Race 28, Episode 8 – "I really think something is mentally wrong with you." Okay, this episode was interesting, but it had this annoying choppy pace. They kept switching back and forth between Takeru and crew, Alain, and the Ganma world shenanigans way too abruptly. 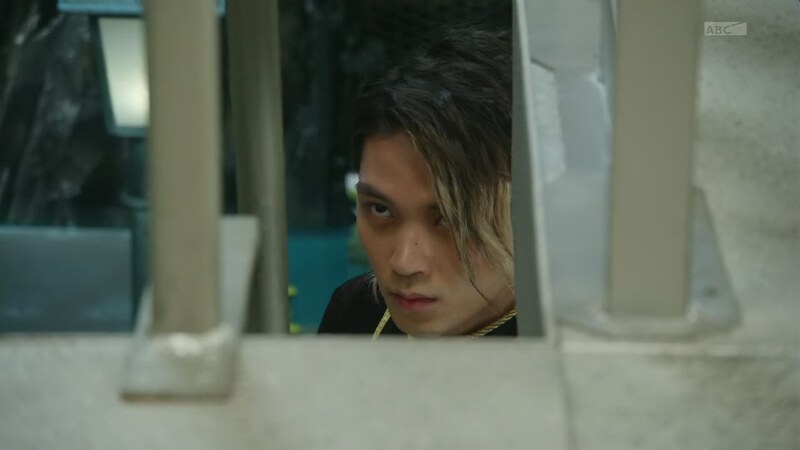 Also, while I really like how Alain developed here, I really wish they give a bit more insight showing how he managed to unlock the Grimm eyecon, instead of it just happening out of nowhere. You know, like him being able to communicate with Grimm. That would have made an interesting contrast to how he used the eyecon the first time around by forcing it to obey him. Yeah, they did that again in their last trek through the Ganma World. It seems like they’re using those quick cuts to build tension, but it doesn’t really do that. True about Grimm helping Alain for the first time. Maybe “Kanon” was the password all along. But I guess we are to assume Grimm felt Alain’s feelings, which then led to him saving Akari.